This bulletin provides some general advice about the safe use of truck loader cranes, which are often referred to by their commercial name or brand of Hiab or Palfinger. This bulletin provides some general advice about the safe use of truck loader cranes, which are often referred to by their commercial name or brand of Hiab or Palfinger. A variety of truck loader cranes are available, and they often have different features. 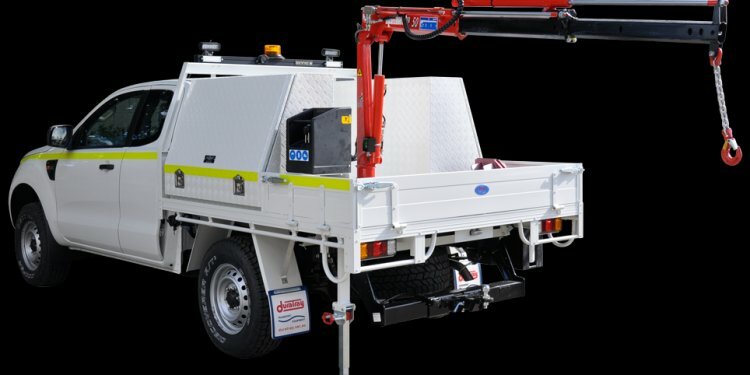 Generally, these cranes are designed so that the vehicle wheels provide stability with additional assistance from outriggers (stabilisers). There have been at least three fatal accidents in New Zealand involving operators being crushed between the load and the vehicle. A number of serious injuries have also occurred. Basic safely rules need to be applied when using these devices. Choose the best working position to position the vehicle. The optimum site would be a position that is as level as possible, is sturdy enough to accommodate the vehicle stabilisers/outriggers and provides unrestricted views of the unloading process. The operator must not be positioned between the load and the vehicle at any time during lifting. The outriggers should be extended as directed by the manufacturer’s recommendations and blocked if on soft ground. Do not lift the truck wheels off the ground with the outriggers. Ensure that the ground around the vehicle is clear of tripping hazards. Maintain a minimum distance of 4 metres at all times between any part of the crane or load and power lines. Know how to operate any safety device for the particular crane. Never stand or walk under a suspended load or let anyone else do this. Any potential crush area such as between the vehicle and the load. Failing to observe these instructions at all times could lead to death or serious injury. Ensure that the load is slung in a way that it will not shift in the sling when lifted. This will require careful consideration of the centre of gravity and balance. Carry out a trial lift slowly at first to check that the load is balanced. Ensure a steady movement of the load during slewing. Ensure that slings are in a safe and undamaged condition and are fitted with the current inspection tag.